You lookin' at me? 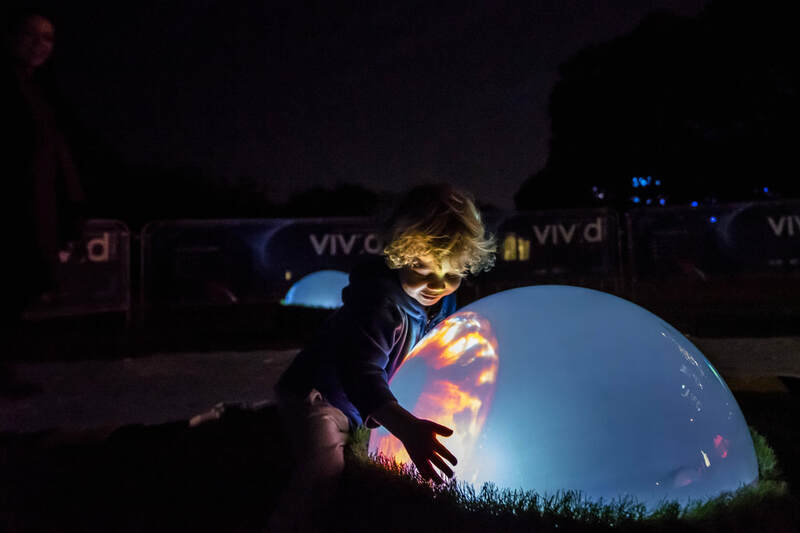 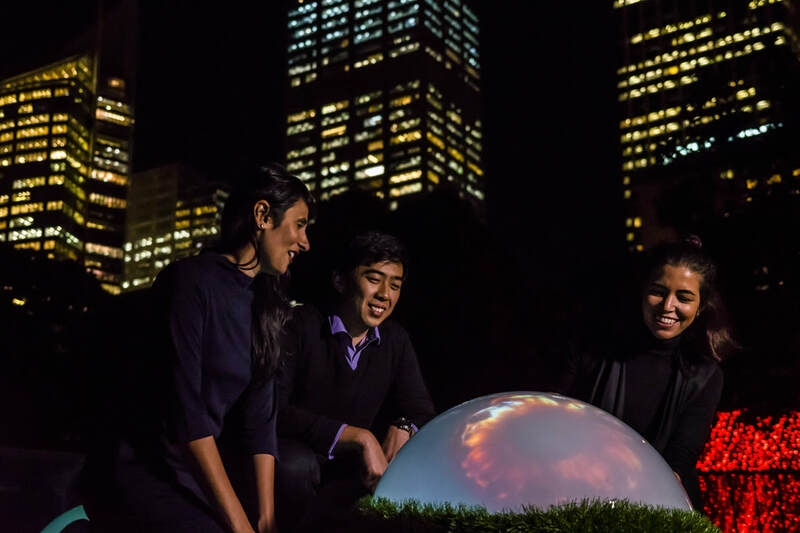 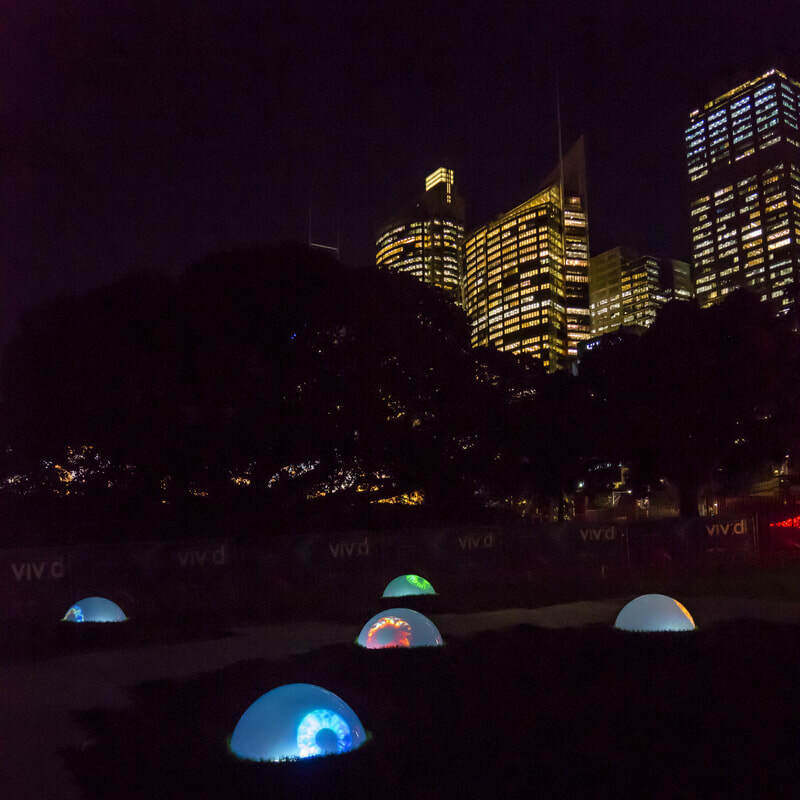 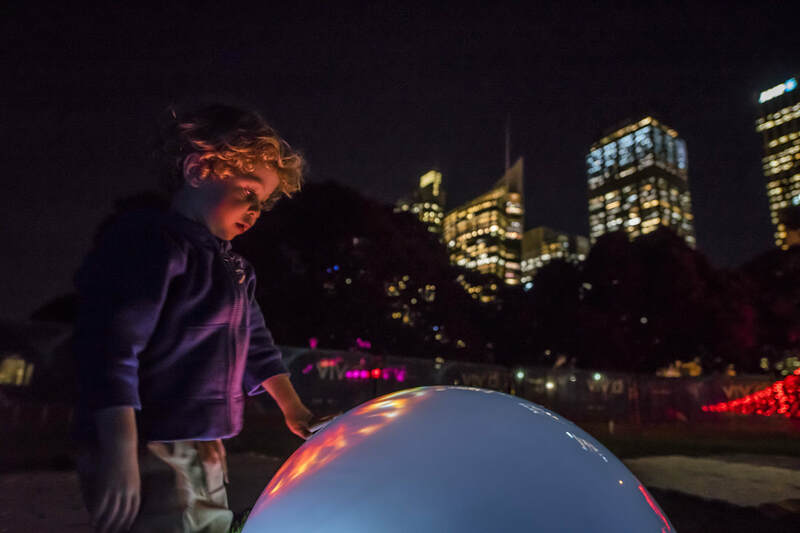 is an interactive light installation selected for the largest light festival of the world; Vivid Sydney 2017. 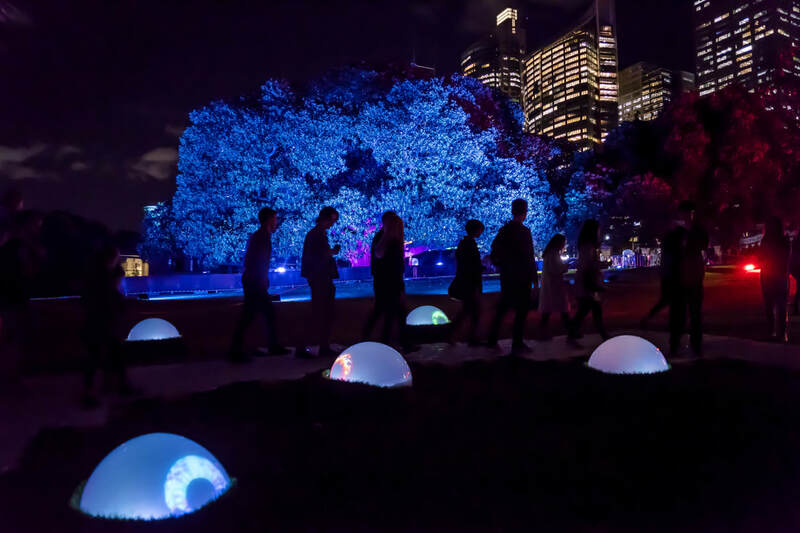 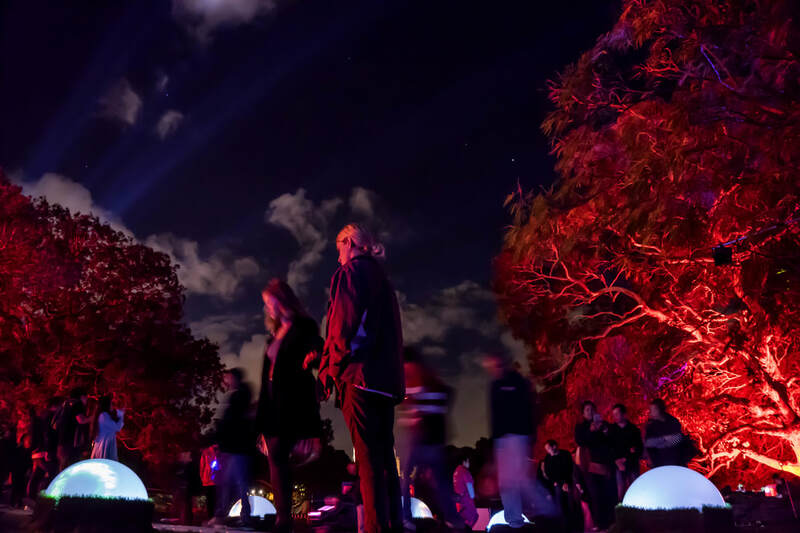 On the opening night it was visited by 60.000 visitors in the Royal Botanic Gardens of Sydney. 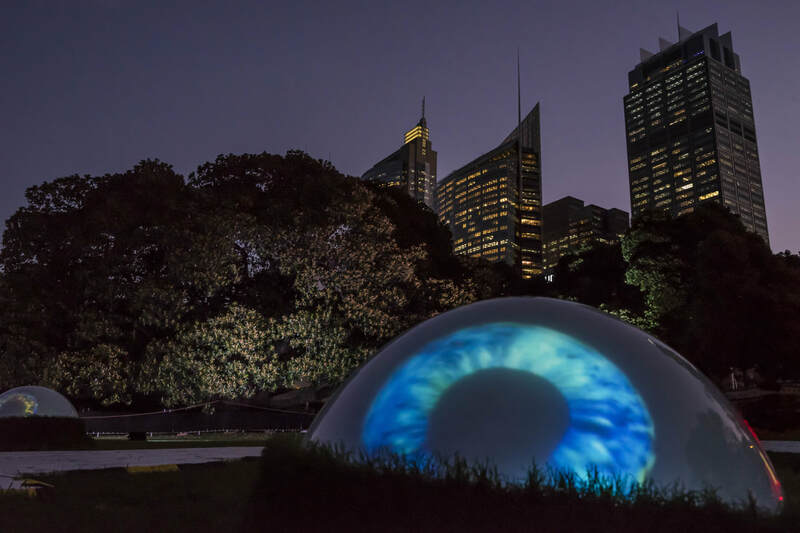 In total over a million visitors saw the eyeballs and it was a favourite by the press, public and crew of Vivid. 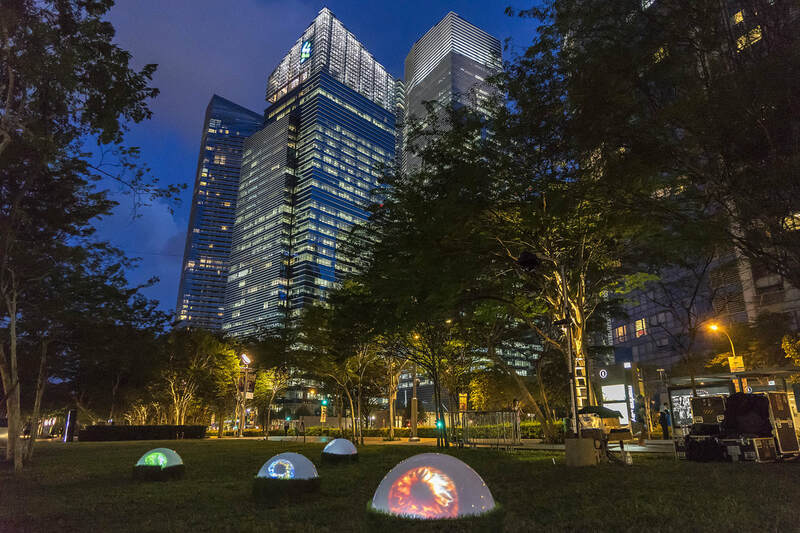 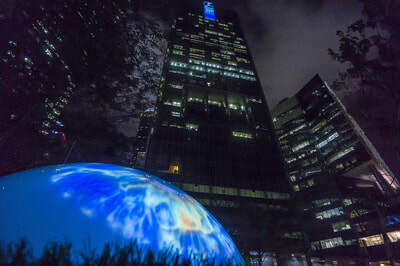 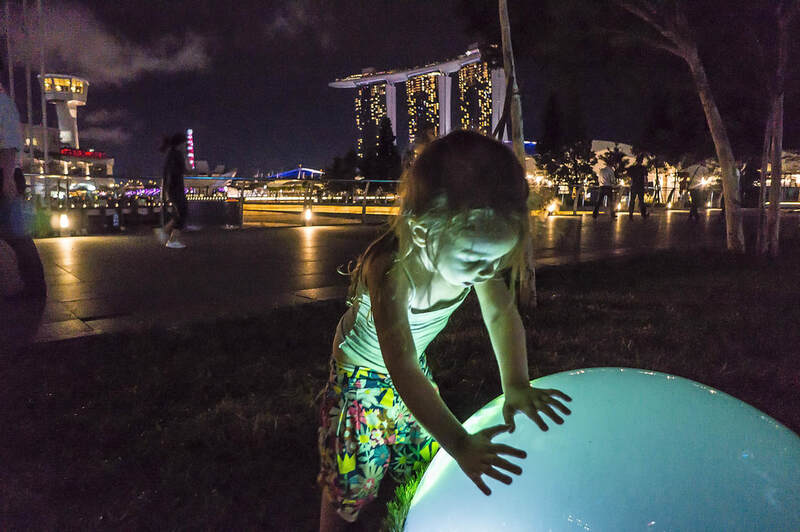 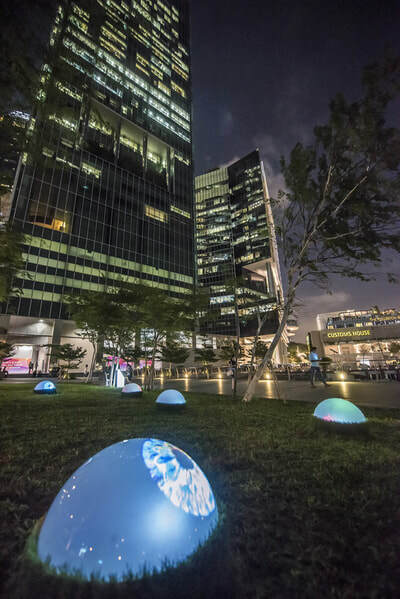 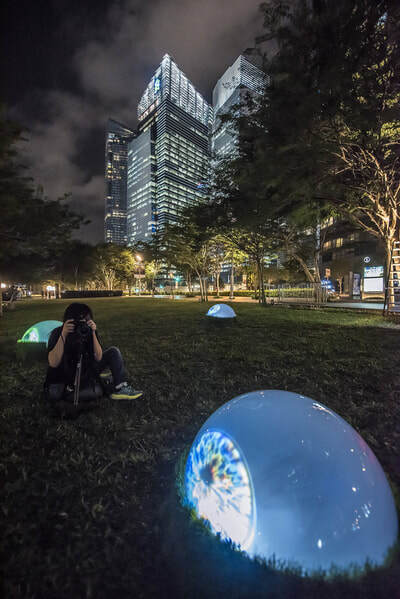 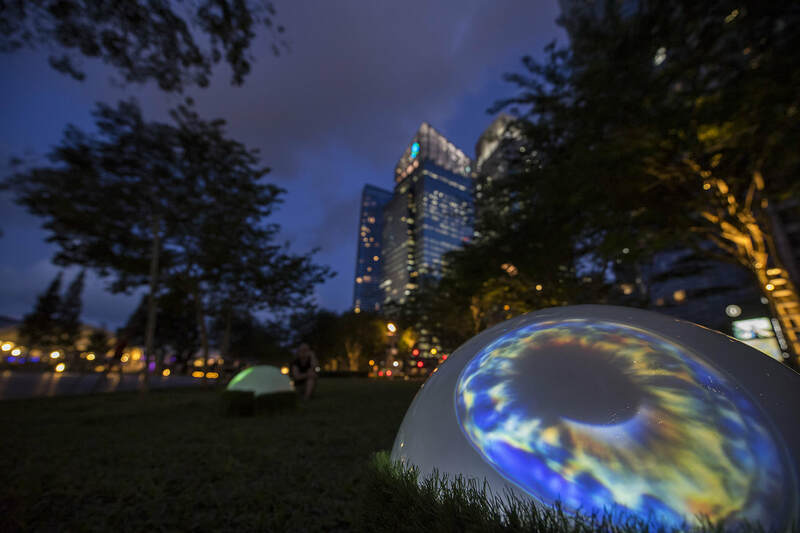 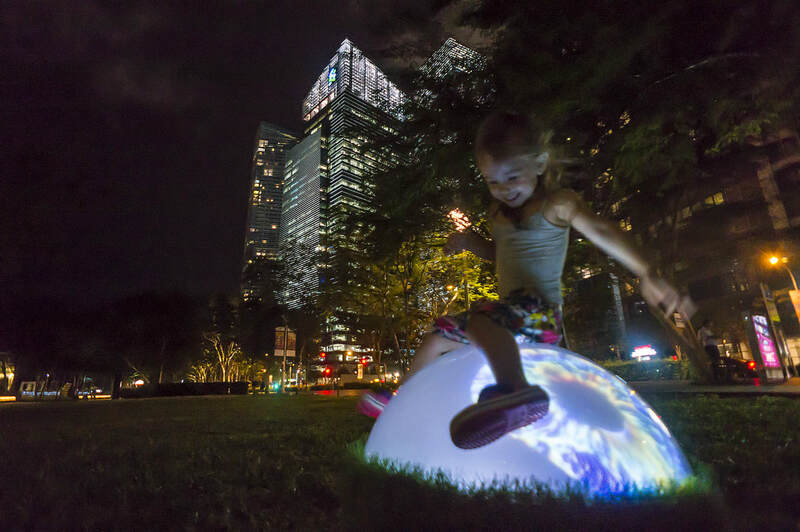 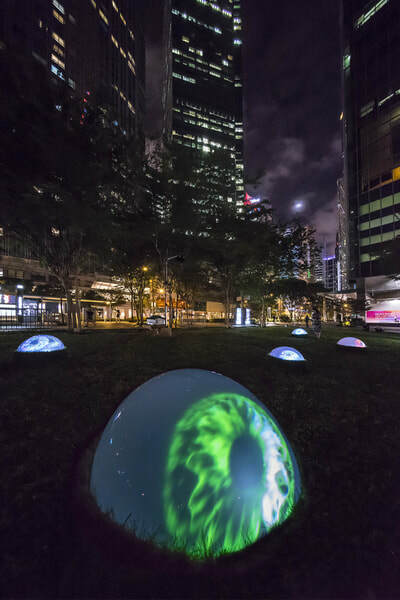 It was first shown at the Amsterdam Light Festival 2016 - 2017 and was also selected for the I Light Marina Bay 2017, the light Festival in Singapore. There it was seen by some 800.000 visitors and was also very well received by the press. 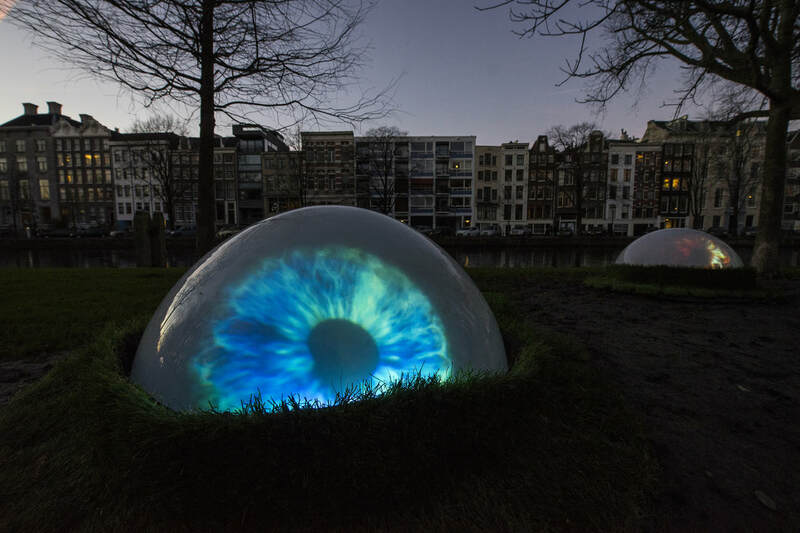 Big interactive and glaring eyes are scattered at the Wertheimpark. 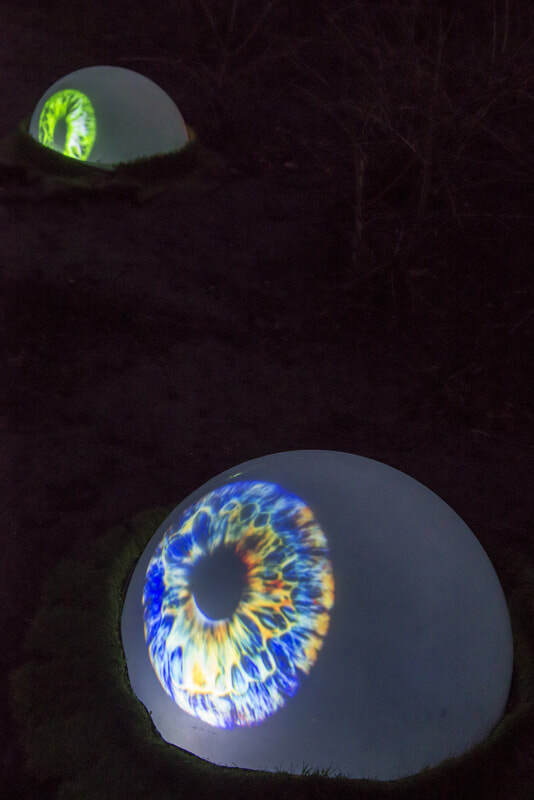 Translucent domes of PVC look like giant glowing eyeballs with colourful irises that stare randomly and a little bored in the depth. 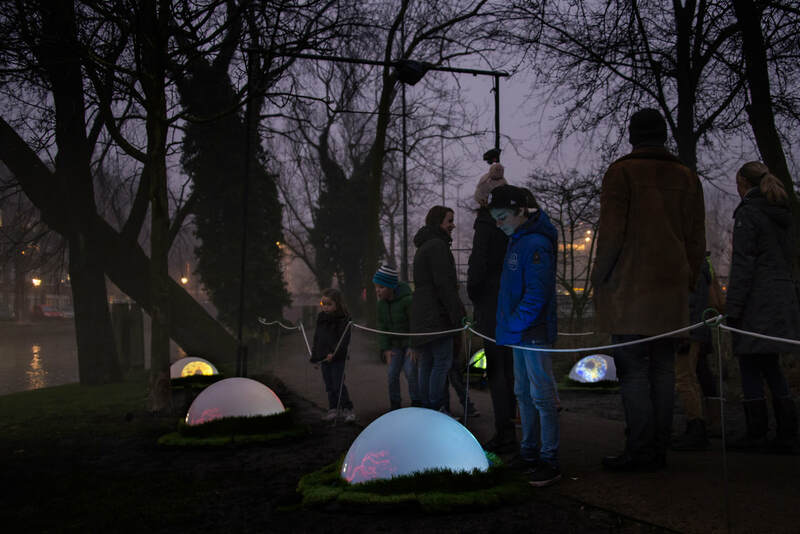 When a pedestrian passes, they interactively follow and don’t take their eyes of the visitor. 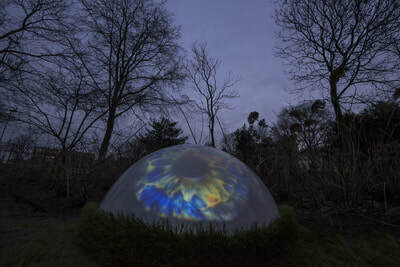 When the trespasser enters their premises, they act nervously and try to intimidate the intruder by a lot of blinking and rolling of the eyes. If the intruder is not scared away soon enough, the bloodshot eyes become more and more reddish angry and a sinister sound swells into a roar. 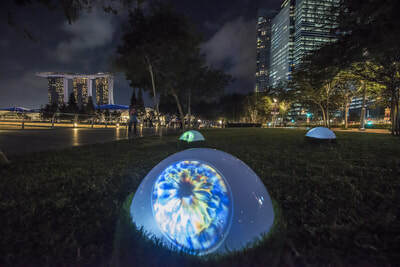 If the intruder persist, the eyes try an other strategy to chase the intruder away. They change appearance and morph into a totally different kind of eyes, namely the devilish look of a predator with vertical irises that is clearly getting quite annoyed. If that does not chase away the visitor, they give up, wink and turn into eyes wide shut or ignoring stare in denial. 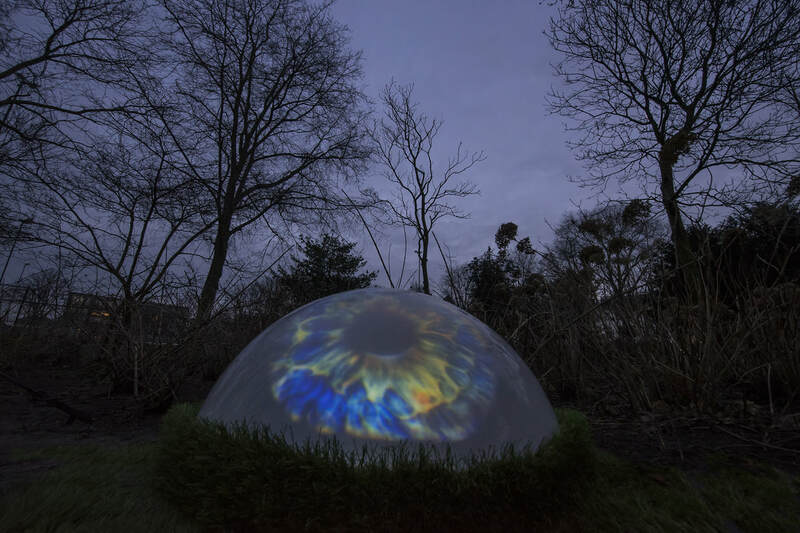 When the visitor finally leaves, the eyes turn into the staring glaring mode again, some scanning the horizon for possible intruders. 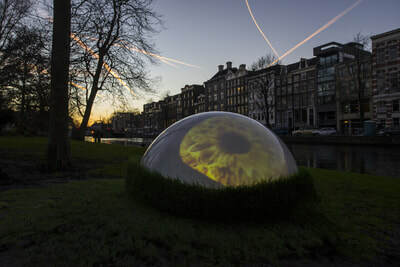 ​If more people enter the territory of the eyes, all the interaction will be a lot more chaotic. It is a Tropism installation by Menno Schrap, Paul Godschalk, Alfred Marseille and Robin Noorda. 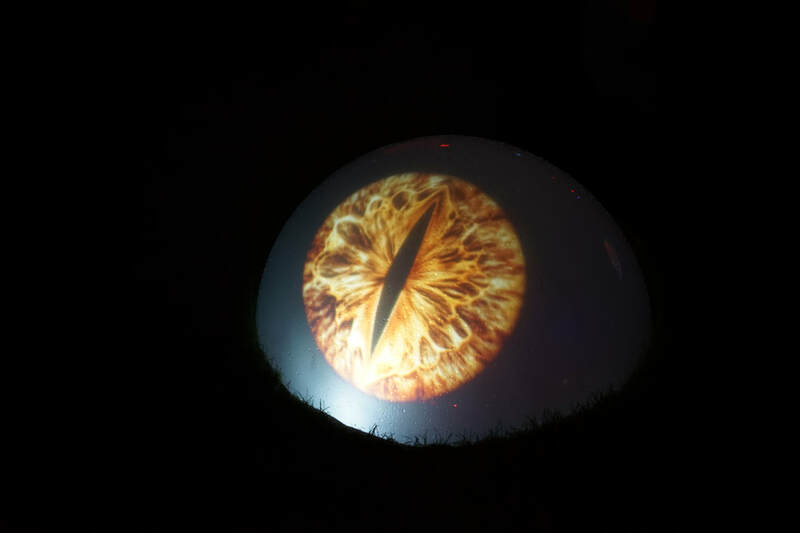 Below: You lookin' at me? at Vivid Sydney 2017. 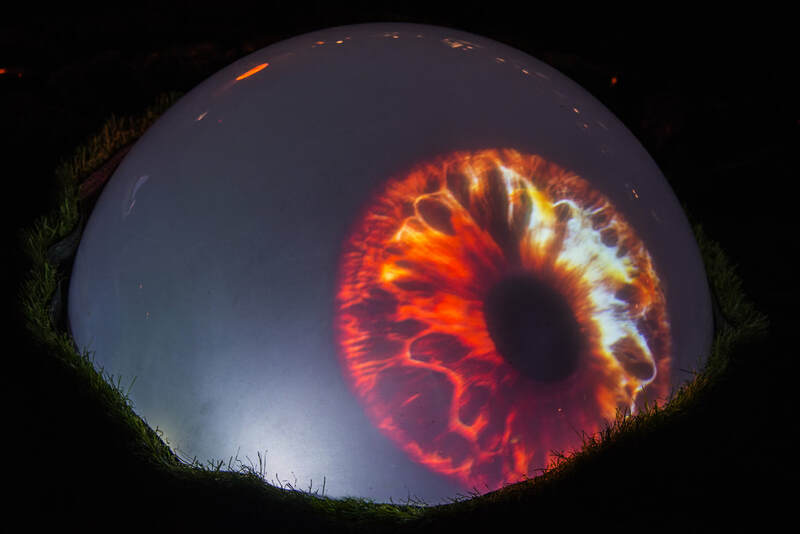 Below: You lookin' at me? 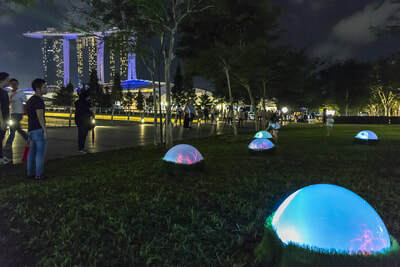 at I Light Marina Bay 2017 in Singapore. 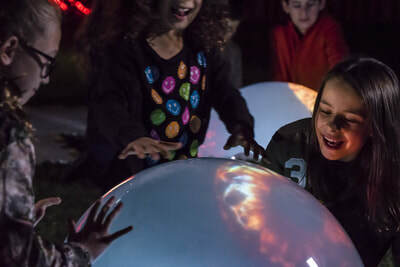 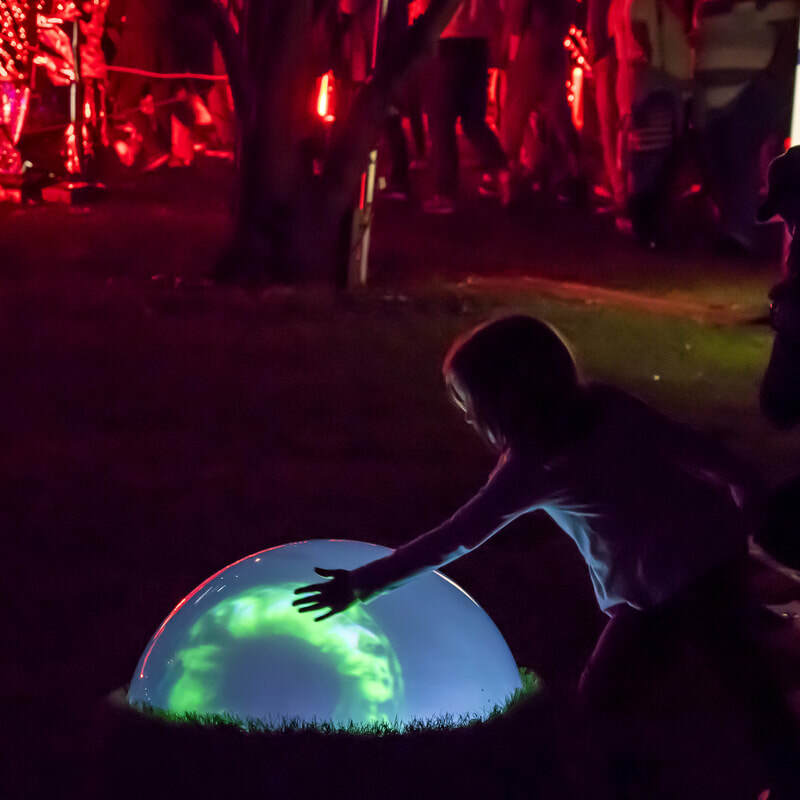 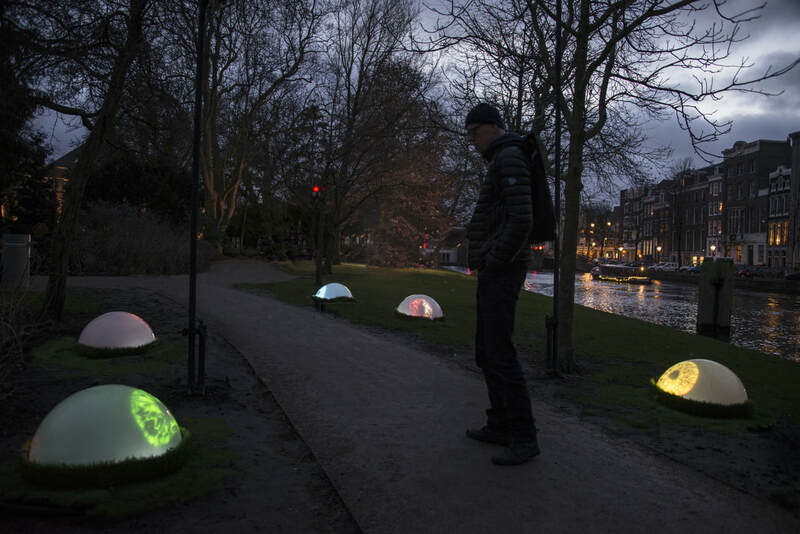 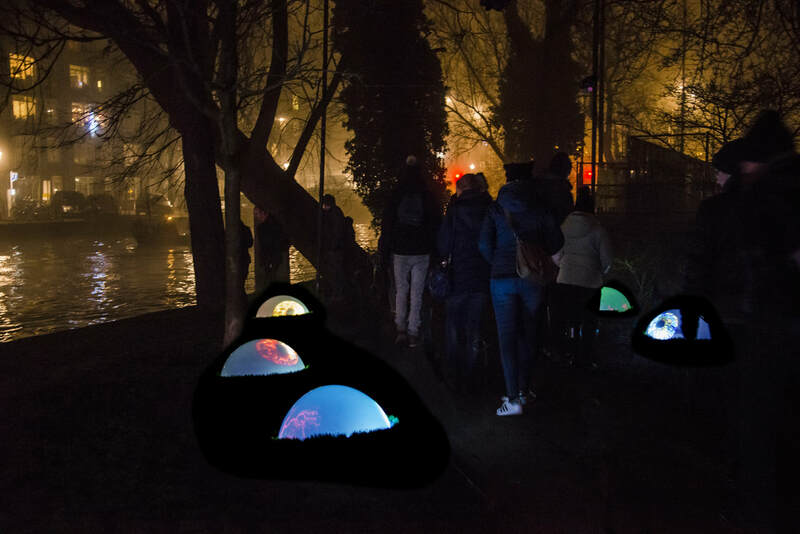 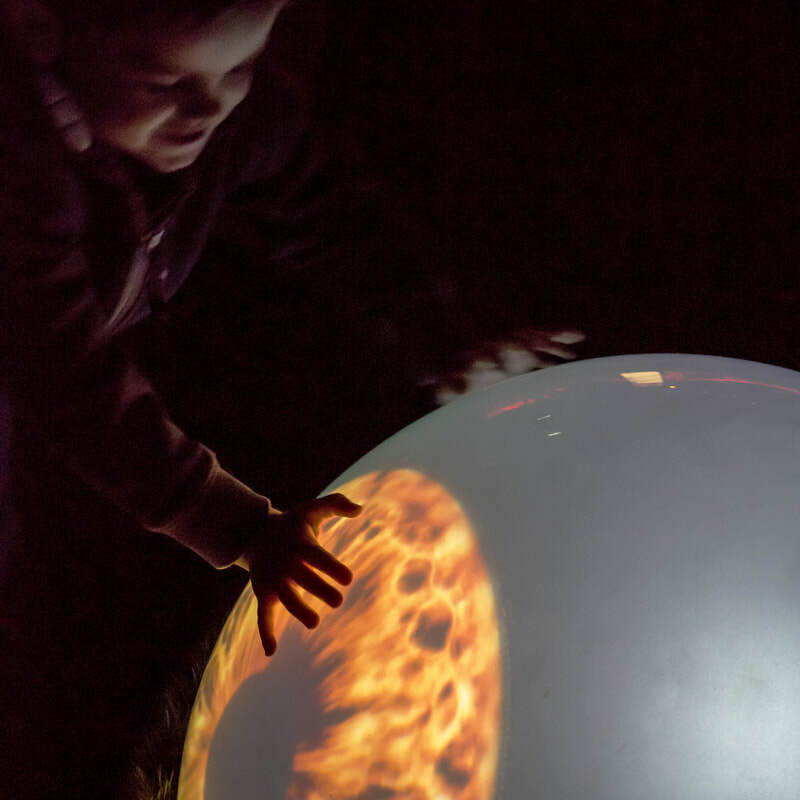 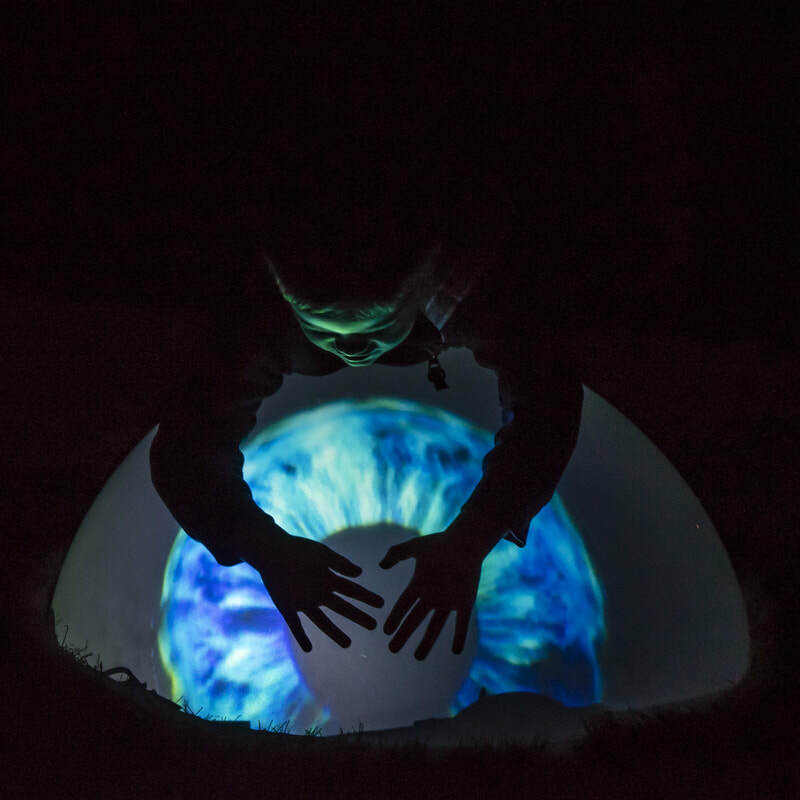 A children jury pitched the project as the number one concept to the international jury of the Amsterdam Light Festival. 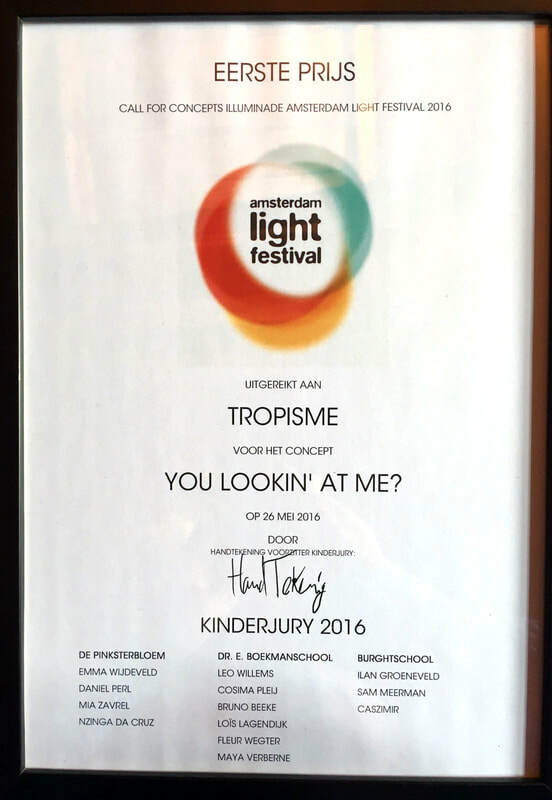 And so the Tropism received the First Award elected by a children jury for the concept of You lookin' at me? 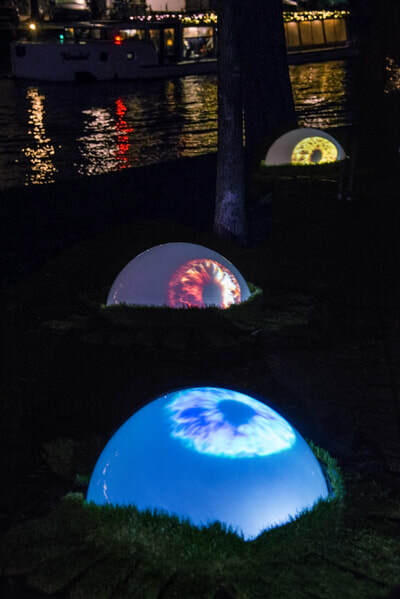 Below: You lookin' at me? 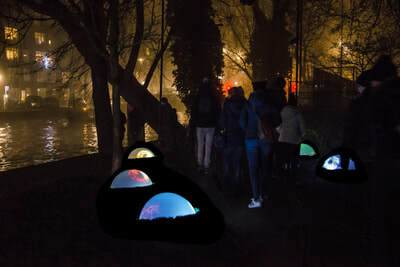 at the Amsterdam Light Festival 2016/2017.